Did you hear the super exciting news, you guys? Heroes is coming back to NBC! How pumped are you? Yep, me too. I enjoyed the first season of Heroes as much as any proper geek did. "Company Man" still stands out as a fantastic hour of television, and there are times when I'm standing in my kitchen and I think about Claire jamming her hand down the garbage disposal. It still makes me shudder. The show had a few problems in its first season — I never understood the Ali Larter/twin in the mirror storyline, TBH — but it was still a lot of fun. The second season was ... not so good. I was completely checked out by season three (Mohinder turns into a bug?) and have heard rumors that there was a season four, but I refuse to confirm or deny that by looking it up. So imagine my grunt of indifference when NBC announced on Monday that it was bringing the show back as Heroes Reborn for a 13-episode run in 2015. To borrow from Arrested Development: "Really? Her?" In the universe of TV shows, you pick freaking Heroes to resurrect from the dead? I'm not opposed to resurrections; I'll tune in for the return of 24, in part because I'd like to know what Jack Bauer's been up to for the last few years and in part because Chloe is a goth hacker now (!!!). But Heroes?? Think of all the far more worthy shows that are ripe for a revisitation. I've come up with a dozen here; I'm sure you can add many more to the list. The rules: No shows that were cancelled prematurely. Obviously, we all want Firefly and Pushing Daisies back. But today, we're talking about shows that had a good run and were able to develop their characters and give us some plot resolutions, but that we'd still be delighted to drop in on a few years later. A few of these aren't genre shows, but I don't care. That's how strongly I feel about them. Here there are in no particular order. 2. The X-Files. The last movie was terribly disappointing, wasn't it? But I want to believe that given six or eight episodes, the show could recapture some of that old magic. A mini-arc, a few monsters of the week, some smoldering glances, a few sensible pantsuits. Bam! The magic is back. 3. Jericho. The show had two mostly solid seasons. 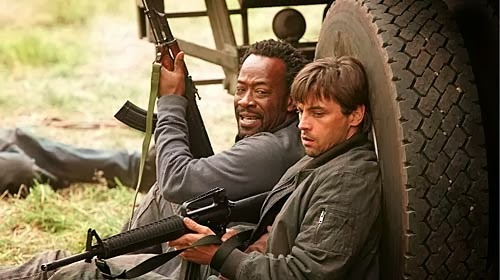 I'd love to see what kind of society the survivors have managed to build since the show went off the air in 2008, particularly since the final season ended with the threat of a new civil war. This show would work with the same cast, a few years later, or it could follow a different band of survivors dealing with similar challenges in a different part of the country. 4. Alias. The quality suffered greatly in later seasons (let us not speak of Lauren and her evil eyebrows and her omni-accent). But I still have great affection for Sydney Bristow and Michael Vaughn. And Sydney's wigs. Today's spy shows don't have enough wigs, do you hear me, showrunners? Let's do a limited run series that pulls Sydney and Vaughn out of retirement and forces them to get the band back together. Also, wigs! 5. Friday Night Lights. As long as nobody murders anybody, I would very much like to revisit Coach and Mrs. Coach's world for a little while. I'd love to see how Coach Taylor's Texas charm plays in Philadelphia. 6. Chuck. The goofy little show that could ended on an ambiguously bittersweet note in 2012. 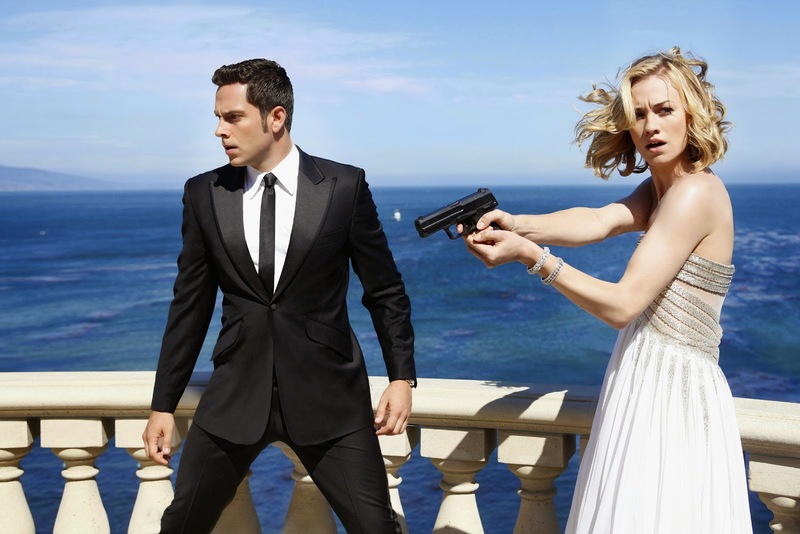 We all hope that Sarah learned to love Chuck again, but it would be so nice to see proof that this actually did happen. Let's check in with Morgan, Captain Awesome, Jeffster and, of course, Casey for a limited run of episodes. Maybe Ellie gets the intersect this time? Who knows! 7. Highlander: The Series. Here's a show that wouldn't have to pick up with the same characters that appeared in the 1992-1998 show, in large part because the show is about immortals and lead actor Adrian Paul has aged over the last 15 years. Why not follow another McLeod? Some clan, different different vintage and more cool trips through the past. 8. 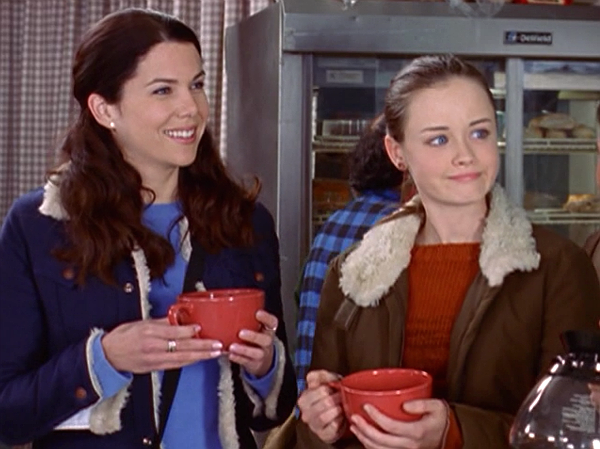 Gilmore Girls. I would agree to a date with Taylor Doose if it meant I could get a look at what the girls are up to seven years later. Let's bring them back for a fast-talking miniseries. 10. Veronica Mars. I'm greedy. The movie's not enough. I want more time with our favorite girl sleuth-turned-lawyer. Let's tune in for some Neptune shenanigans every week for two or three months. Time for Kickstarter 2.0? 11. Quantum Leap. 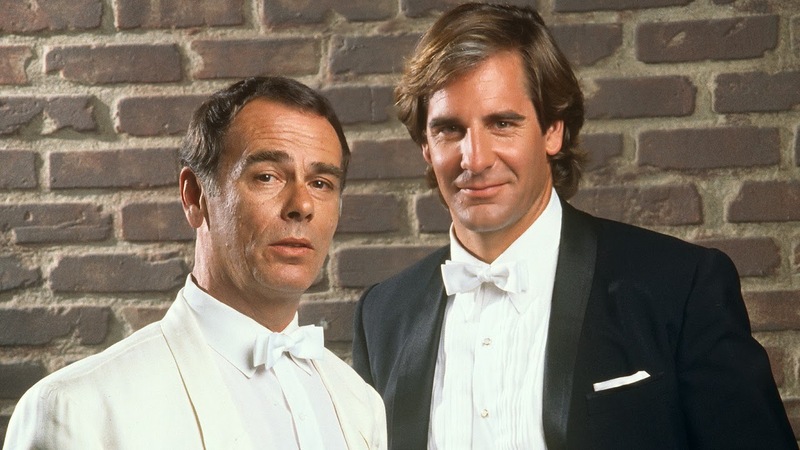 There's not enough Scott Bakula on our televisions. Let's see Sam Beckett get pressed into service for another spin through time to solve a looming crisis that can be fixed in, say, 10 or 12 leaps through the past. 12. Daria. The coolest girl in high school will be all grown up by now. Where does she work? She's a producer on Sick, Sad World, right? Are she and Jane still close? Did she and Trent ever act on their burning sexual tension? A short series would let us know who the rebels and the outcasts grow up to be. Even though there is the comics, I agree with another run of Angel being fantabulous! I also agree with your opinion of Hereos. I LOVED the first season and watched it on Netflix streaming in a matter of a week or two. But I don't think I even made it past the 2nd season. You've also peaked my interest into a few shows I have never watched such as Jericho and Chuck. I might have to check those out!!! Yep, I never went past the first couple of eps of season 2 of Heroes either. Excellent gif usage. 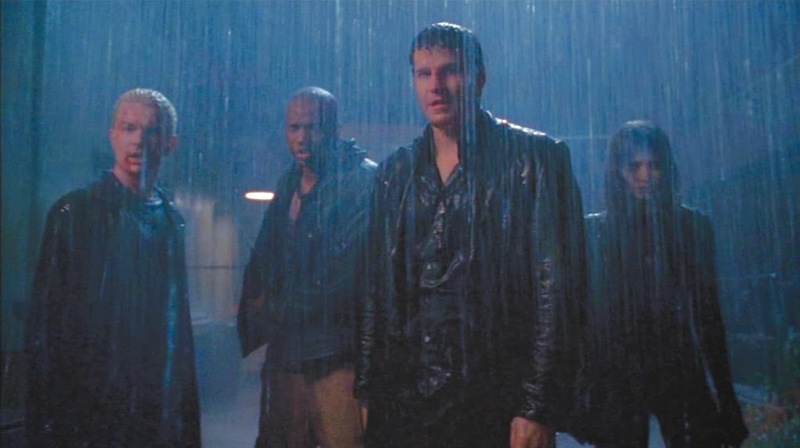 I am so there for more Highlander, Quantum, Veronica & Angel. With Veronica, I'm afraid that the movie just isn't going to satisfy when we're used to full-season arcs and deep character development. TV-to-movie always seems dicey to me. No love for Firefly? What's up with that? I enjoyed the movie, but I say we pretend it didn't happen and pick up where the show left off. Whose with me? It's my proofreader's day off. 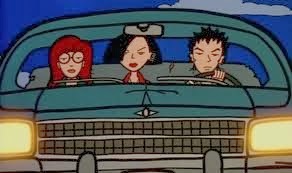 Second the recommendation for Daria.